I am currently a second-year PhD student in the Vision and Learning Lab at University of California, Merced supervised by Ming-Hsuan Yang. Before coming UC Merced, I received my M.S. degree and B.S. degree from Tsinghua University (THU) and Beijing University of Posts and Telecommunications (BUPT) on 2016 and 2013 respectively. Here is my CV. 2018.5 ~ 2018.11: Research intern at NVIDIA LPR group. 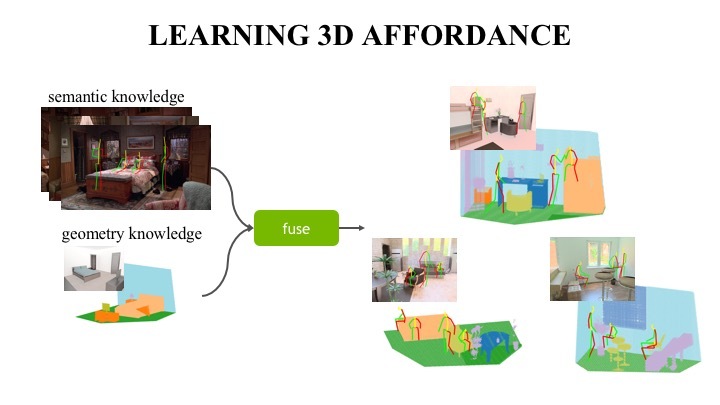 Putting Humans in a Scene: Learning Affordance in 3D Indoor Environments, Xueting Li , Sifei Liu , Kihwan Kim, Xiaolong Wang, Ming-Hsuan Yang, Jan Kautz. CVPR, 2019. Learning Linear Transformations for Fast Arbitrary Style Transfer, Xueting Li* , Sifei Liu* , Jan Kautz , Ming-Hsuan Yang. CVPR, 2019. 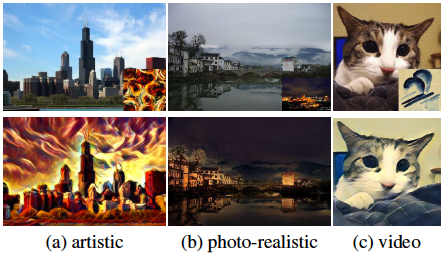 A Closed-form Solution to Photorealistic Image Stylization, Yijun Li , Ming-Yu Liu , Xueting Li , Ming-Hsuan Yang , Jan Kautz. European Conference on Computer Vision (ECCV), 2018. © 2019 Xueting Li. Powered by Jekyll & AcademicPages, a fork of Minimal Mistakes.